To be out in the wild and enjoy the wide open spaces is such a wonderful experience. The experience is even more enhanced if we decide to make a camping trip out of it and settle down in the outdoors for the next day or two. However, sometimes being out there in the rugged environment without our “civilised products” can be quite daunting. But don’t be scared because there are some life hacks which can be helpful while you are camping and can make your stay pleasant. 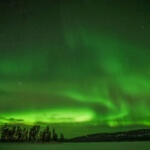 This will create a nice ambient light and augment the environment. While trying this trick, make sure the jug is white in color and filled with water. 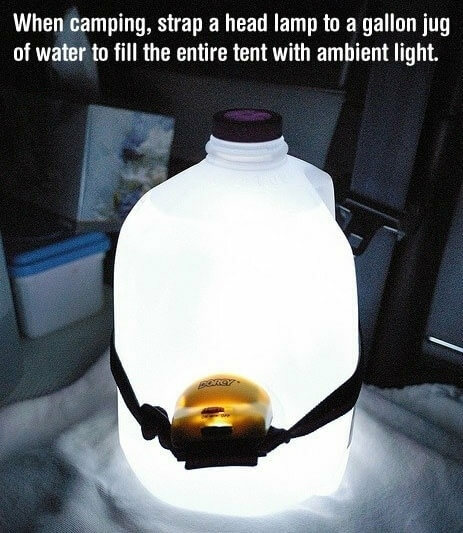 Also you can use any light and not just a head lamp, but make sure that the light should point at the jug. 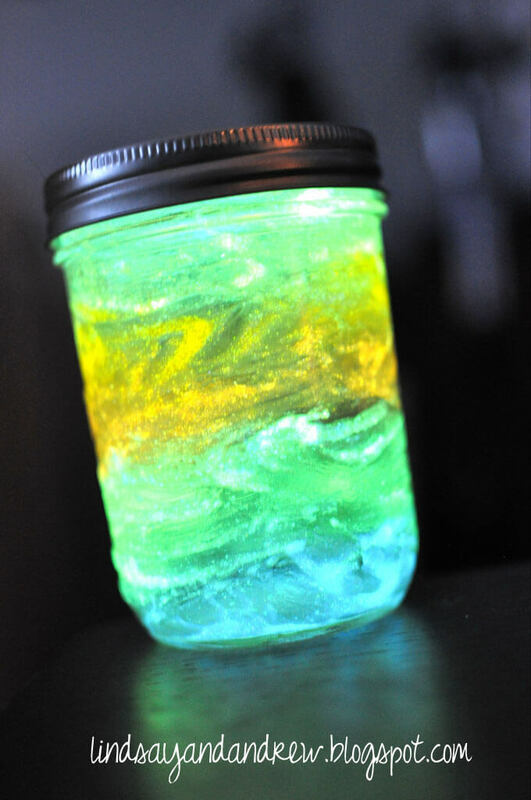 If you have a transparent jar, just paint it with Glow in Dark paint from inside and it will glow in the dark. Toilet paper is very important while camping, but to keep it clean is another issue. Try this simple trick to keep your toilet paper intact. Take an empty food can, clean it from inside and make a thin vertical slit on one side of the can and put the roll inside. Take out a bit of the toilet paper from the slit. 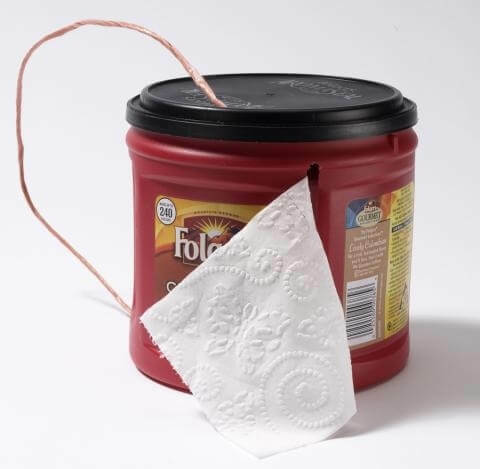 Make small holes at the top and bottom of the can and run a string or wire through those holes and hang it on a branch. Unknown territories bring unknown danger. So get acquainted with the plants that you have to stay away from while camping. We have seen in lot of movies that people have to use stones to make fire while they are out in the woods. 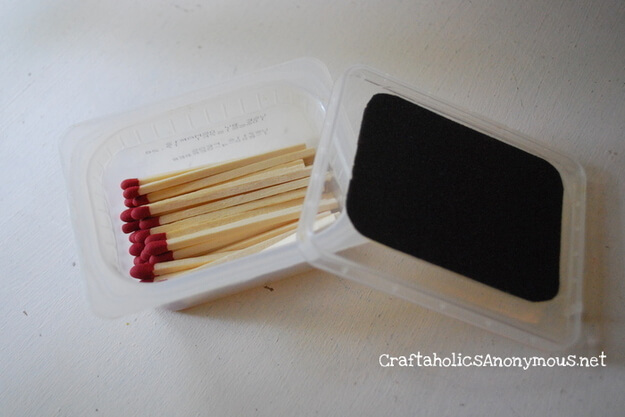 Well, we definitely don’t want you to be in that situation, so use a plastic box for keeping the stick dry from any weather and glue a sandpaper to the top of the plastic box in order to strike the matches against the sandpaper! 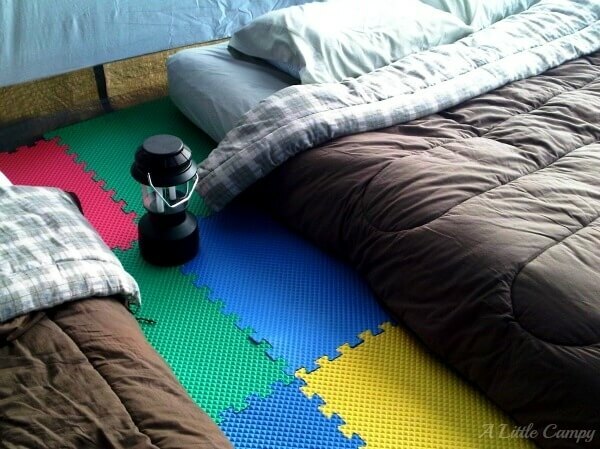 When you are out in the woods, a camping floor cannot be guaranteed to have even level and can give you back ache if the level is too uneven. So better have a foam flooring mat with you to keep the floor even and relaxing.